Dental implants replace missing teeth using dental prosthesis crafted to imitate a natural-looking smile. 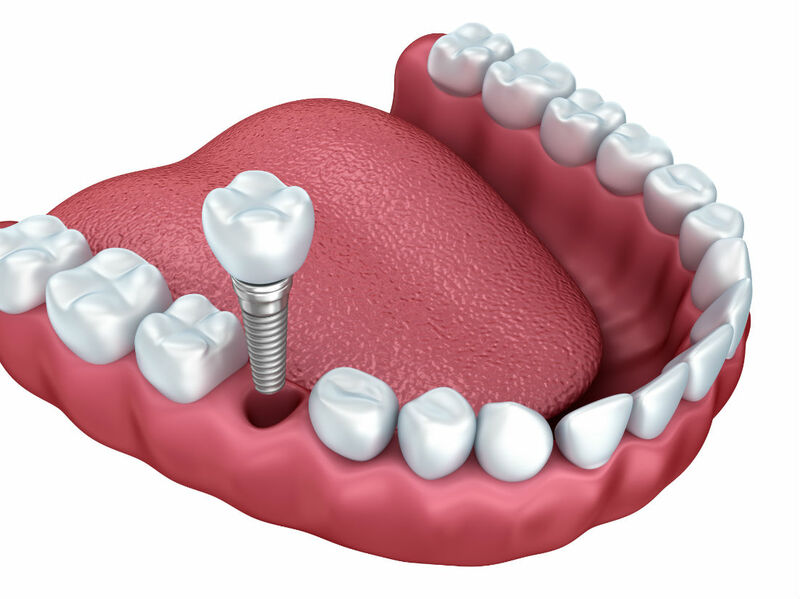 Three main components make up dental implants: the root, the abutment, and the crown. The root, also known as the implant post, is crafted using titanium, a unique material that bonds with bone to bolster its supporting structure. The crown and abutment make up the chewing surface of the teeth and imitate the natural sheen using porcelain. Each dental implant is custom crafted to fit the unique smile of each patient to ensure a comfortable, natural fit. Additionally, dental implants can be made to accommodate the lifestyle of each patient. Patients looking for full-mouth reconstruction have the option of choosing removable implant-supported over-dentures or fixed dentures. Patients without adequate jawbone density may require bone grafting prior to receiving dental implants. Caring for dental implants is as easy as caring for natural teeth. We advise patients to engage in regular hygienic practices, such as visiting the dentist at least twice a year and brushing and flossing regularly. Dental implants bolster the jaw and improve on many functions individuals often take for granted, such as speaking and eating. Family Dental Care can help patients replace missing teeth and restore their smile completely. For more information about dental implants or to schedule your appointment with Dr. Ranjan, call us or visit Family Dental Care in Lake Mary, FL.